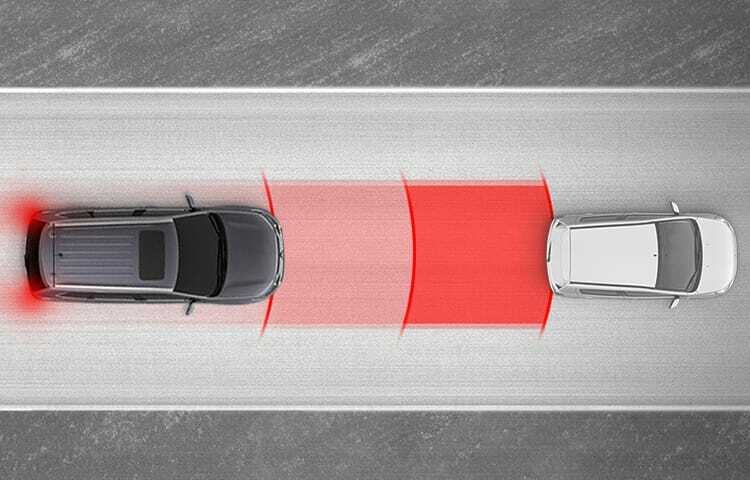 The available Adaptive Cruise Control (ACC)2 system uses radar technology to judge distances between you and the vehicle ahead, helping you maintain a safe driving distance. If the car moves out of your lane or goes beyond your set speed, the system will resume your set speed. 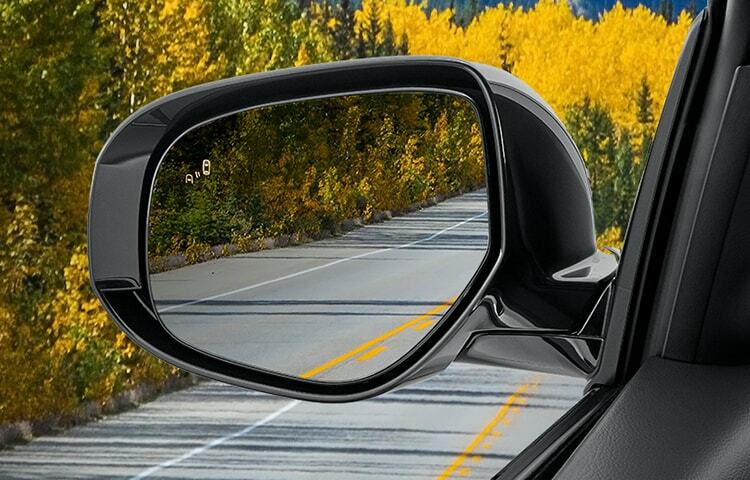 When the Rear Cross Traffic Alert system4 detects a vehicle approaching from the side while you're backing up, the warning lights on both side mirrors will blink, a buzzer will sound to alert you and a warning message will appear on the information screen of the color multi-information display. Together Blind Spot Warning and Lane Change Assist4 alert you when a vehicle is in or approaching your blind spot. When a vehicle in the next lane is traveling at the same speed or faster in the detection areas, a warning light will illuminate on the corresponding side mirror. If your turn signal is on, the warning light on the corresponding mirror will blink and the system will beep three times to alert you that it is unsafe to change lanes. 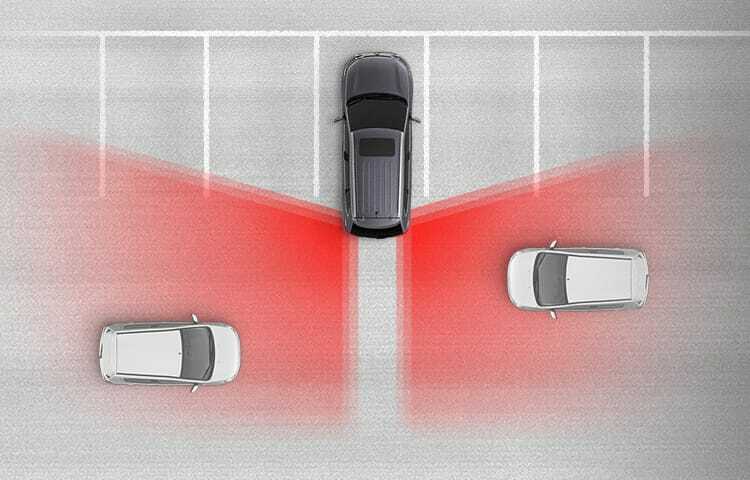 The Lane Departure Warning (LDW) system uses an onboard camera to monitor lane position in front of the vehicle audibly and visually, alerting the driver if it detects the vehicle leaving its lane unintentionally. You don’t have to worry about switching between low and high beams when driving in sporadically lighted areas. 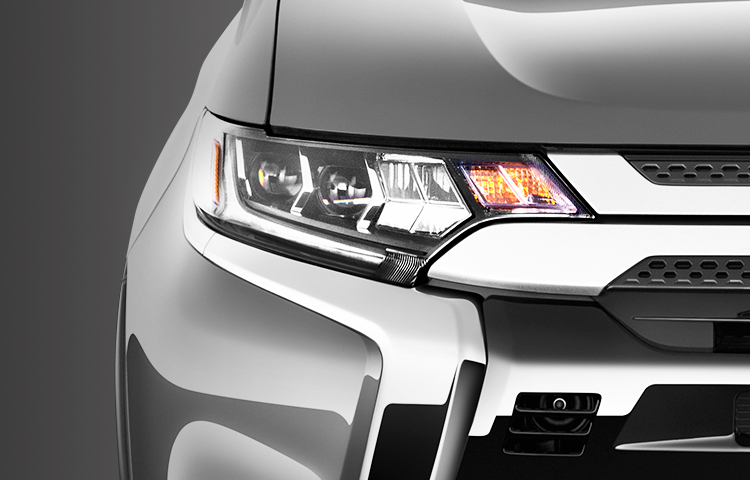 Your Outlander’s LED Auto High Beam Headlights will do the work for you by automatically adjusting between the brightness levels depending on the surrounding light. 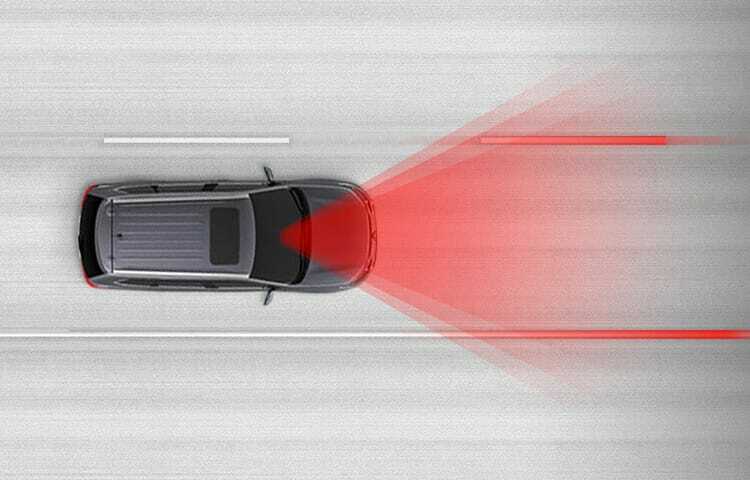 The Forward Collision Mitigation (FCM) system5 utilizes both laser radar and camera technology to determine if a frontal collision with a vehicle or pedestrian is imminent. If so, it warns the driver with audible and visual signals, and automatically applies moderate to emergency braking to reduce the severity of the collision and, if possible, prevent the collision. Mitsubishi's Reinforced Impact Safety Evolution (RISE) body utilizes crumple zones that route and absorb energy during high-impact collisions. 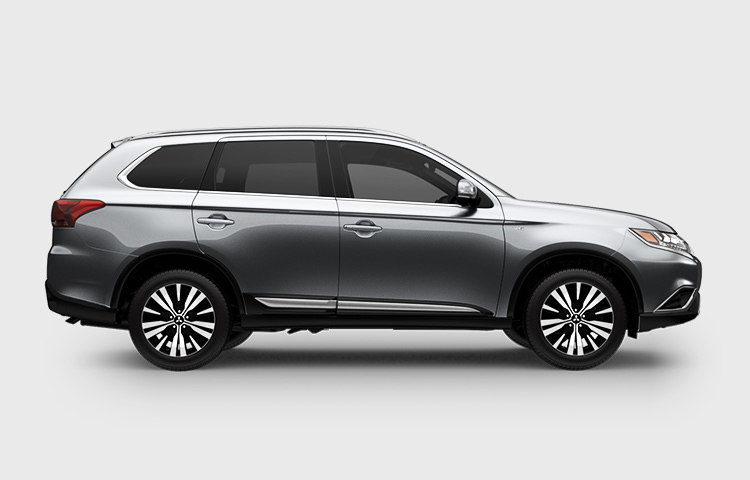 Strategic reinforcements at key body points complement its side-impact door beams, giving your Mitsubishi a stable, secure base that's worth its weight in safety. 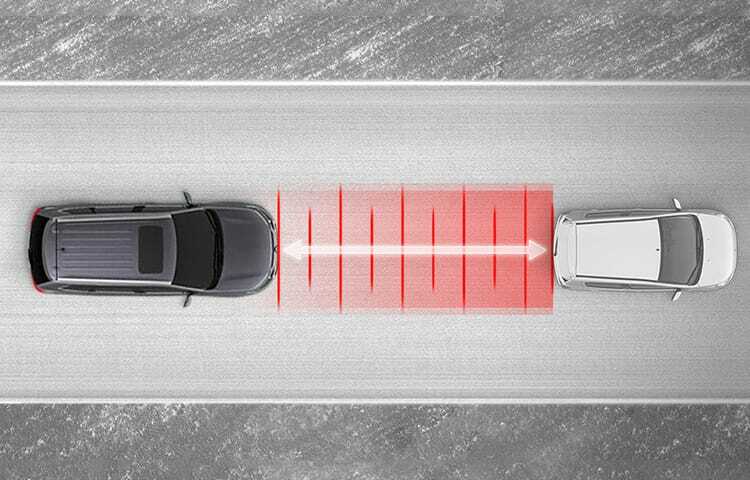 2 Adaptive Cruise Control is not a collision avoidance system or an automatic driving system. It is designed to use only limited braking and is never a substitute for safe and careful driving. Never rely solely on the Adaptive Cruise Control system. 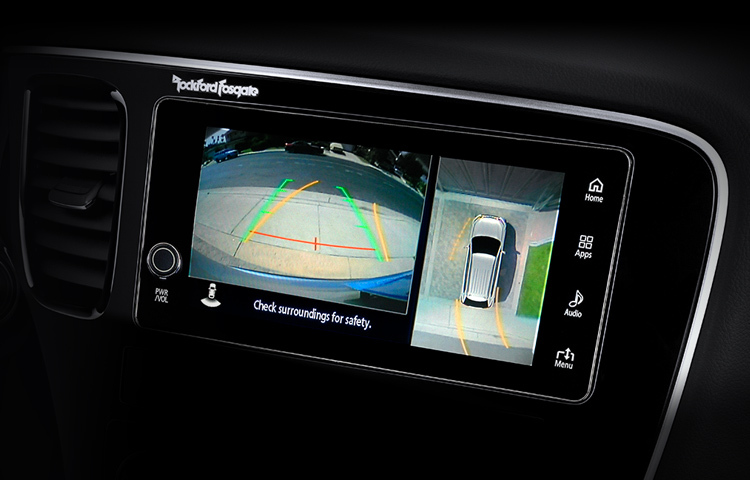 3 The Multi-View Camera system is a driver aid only and is not a substitute for visual confirmation. The view on the screen is limited and objects outside that view will not be seen. 4 The Blind Spot Warning, Lane Change Assist and Rear Cross Traffic Alert systems are driver aids only and are not substitutes for safe and careful driving. Under certain circumstances, these systems may not detect other vehicles correctly. 5 The Forward Collision Mitigation (FCM)/Pedestrian Detection (PD) system is a driver aid only and is not a substitute for safe and careful driving. Under certain circumstances, the system may not detect other vehicles and/or pedestrians correctly.